Did I ever say that I love chicken? I’m sure I have. When it comes to chicken, I’m always creative! 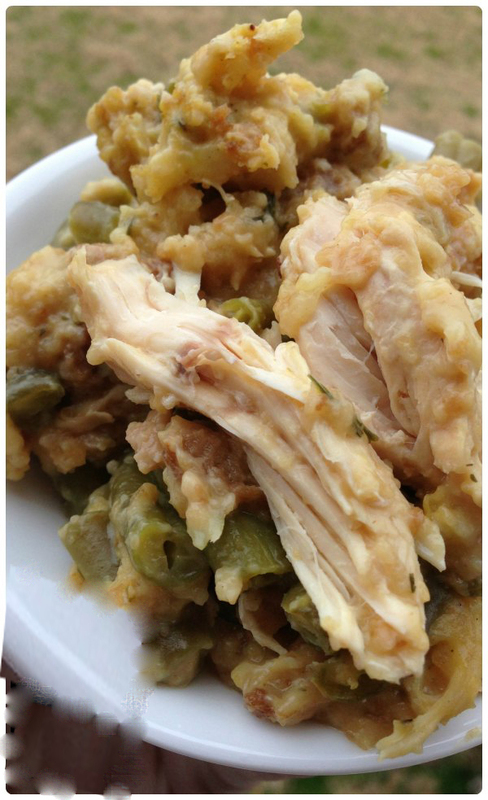 Last Sunday, I made this crock pot chicken and stuffing, it made me proud! 1 large can or cream of chicken soup. 2 boxes of stuffing mix. 1 small package of frozen green beans. Place the chicken breasts in a sprayed crock pot then add two boxes of stuffing mix. Add a layer of the frozen green beans then pour a cup of water. Cook the chicken for 4 hours on high or 7 to 8 hours on low. Easy, peasy and yummy! This chicken and stuffing is just awesome. You can put it on the heat, go to work and come back home to find a delicious meal ready for you!